Science and technology is a decisive force to promote the development of history.The history of science and technology is the history of human cognition of nature and the world, as well as the history of human wisdom. The 20th century was a century of brilliant scientific and technological achievements, as well as the growing maturity of human reason. The field of human observation of nature has expanded by more than 100,000 times, both microscopically and macroscopically: the understanding of the structure of matter has gone from molecules greater than 10 to 10 metres, atomic groups to the interior of elementary particles smaller than 10 to 18 metres, while the scope of observation of the universe has expanded from 100,000 light-years to 1.5 billion years in diameter. On the one hand, as a result of the in-depth development of various sciences, the natural world around us from molecules, atoms, elementary particles, to cells, nuclei, chromosomes, DNA molecules, gene fragments, to the universe, celestial bodies, the earth's surface and the interior of the earth's crust, all levels have been studied in greater depth; on the other hand, due to the proliferation of interdisciplinary and marginal disciplines, the gap between the various disciplines has gradually been filled, in particular the molecular biology of molecular biology, the emergence of life sciences, the emergence of the gap between the physical gap between the beginning to disappear.As a result, the various levels of nature and the transitional links between them have begun to be recognized by the people one by one. The whole natural science is forming a developing, multi-level, integrated and unified whole. With the rapid development of science and technology, the philosophical vision, historical vision and strategic height of human understanding of scientific and technological activities continue to expand and upgrade. The mobile phone is undoubtedly one of the most advanced and important communication tools in the world nowadays. Take this as an example to elaborate on its great effect and influence on human life. 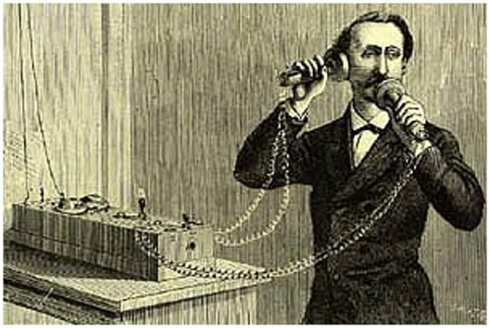 The mobile phone has been one of the inventions that people have dreamed of since the invention of radio communication. The invention of the telephone enables people to fully enjoy the convenience of communication. With the invention of wireless telegraph and radio broadcasting, it is more desirable to have a communication tool that can be carried around without limitation of telephone lines. By the 1920s, there were walkie-talkies, walkie-talkies, and so on. With the invention of the transistor in the 1960s, dedicated wireless telephone systems proliferated and were used in industries such as public security, fire protection, and taxis. From the mid-1940s to the early 1960s, mobile communications began to transition from dedicated mobile networks to public mobile networks. Cooper went around looking for jobs after college, but ended up getting nowhere. Just when he was about to despair, he thought of George, a famous figure in radio technology, and decided to visit. Cooper had been keen on radio, and he thought of George because he could learn a lot from him. If he could get into George's company, he would surely make a run in the radio, but when he knocked on the phone, he was afraid that George would leave the door. Frustrated, Cooper left George's lab. Soon he got a job at Motorola. One day in April 1973, a man stood on the streets of New York, pulled out a wireless phone about two bricks and started calling, causing passers-by to stop and watch. The caller said, " George, I'm using a portable wireless phone right now. In fact, as early as the 1940s, Bell Laboratories in the United States had developed the first wireless phone, but the phone was so large that it could only be placed on a laboratory shelf that it soon went unnoticed. By the 1960s, Motorola was once again interested in the technology. Researchers at the time believed that the huge mobile phone could be mounted on a vehicle. The wireless phone, which Cooper developed, though much smaller, could carry only three kilos, could be used to carry the same phone, was so easily carried on a backpack. 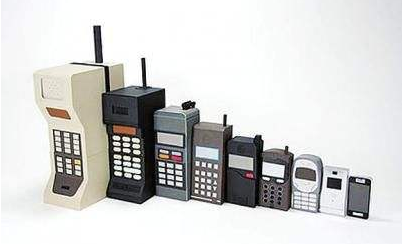 The development of the wireless phone made new progress in 1987, reducing its weight to 750 grams, but still like a brick, the so-called "Big Phone". 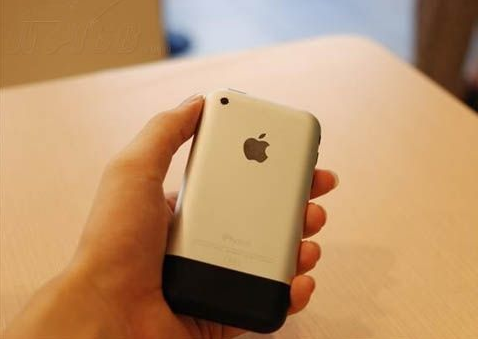 This kind of mobile phone uses frequency division multiplexing, can only conduct voice communication, the communication effect is unstable, and the confidentiality is insufficient. 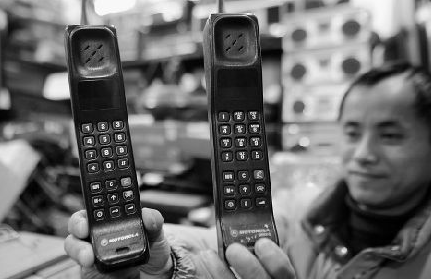 Similar to the simple radio duplex radio, the call is locked at a certain frequency, easy to be tapped by 1999, the handheld down to 60 grams of the quality has been reduced easily. At present, not only ordinary 2G mobile phones are widely used, but also 3G mobile phones have begun to use.The so-called 3G mobile phones refer to the third generation mobile phones, which combine wireless communication with multimedia communications such as the Internet, and are capable of handling images, music, video streaming and other forms of media, providing a variety of information services including web browsing, teleconferencing, e-commerce and other information services. Mobile phones have become one of the most widely used appliances for human beings because of their greatly reduced prices and the different grades of mobile phones meet the needs of different groups of people. Undoubtedly, from the past to the present, the development of science and technology has brought us too much convenience, greatly enriched people's lives, and greatly improved the efficiency and quality of people's work and study.So what does science and technology mean for the future? It is because of this that Comrade Xiaoping will assert that science and technology is the primary productive force. However, not everyone hails the rapid development of science and technology. On the contrary, quite a number of people insist that science and technology is a double-edged sword, which can bring disaster to mankind. First, banks now use high-tech equipment such as computers to help workers, which has improved work efficiency, reduced the intensity of the work of workers, and convenient customers. But the widespread use of computers and bring about alternative problems: some criminals use a variety of high-tech means to destroy computer networks, theft of confidential bank documents, infringement of the interests of depositors, access to illegal interests. Particularly disturbing is that with the level of science and technology to improve, the so-called peaceful uses of atomic energy, such as a great power to solve the nuclear energy crisis. Such phenomena provide evidence for those who support the view that science and technology are double-edged swords. So when scientists successfully bred cloned sheep at the end of the last century, some people were not cheering, but worried. Admittedly, there was a reason for this fear, but maintaining it was not conducive to raising the level of science and technology. Perhaps we cannot solve these problems for a while, and the future will be unknown. But we are convinced that since the inventions of the past have far outweighed the disadvantages of today's people's lives, and in the past few decades, technology has indeed been a vital role as a first productivity, then we have reason to believe that in the future, new technological inventions will continue to benefit our lives, As long as people can keep up with the pace of technological development, and constantly with new laws and regulations to standardize the use of technology, the drawbacks of technology to the minimum. As Marx pointed out: Thechange of environmentand the conformity of human activity or self-change can only be regarded and reasonably understood as the practice of revolution. The so-called "change of environment" here certainly includes the change of natural time and space. It is through the "practice of revolution" that man creates and constantly changes the society. On the other hand, people do not create their own social space-time is not arbitrary, born out of nothing.Man, as a natural being, can never get rid of the natural space-time constraints on human activities, and the social space-time structure, as the crystallization of human activities, in turn, restricts and affects human activities. Fundamentally, social time and social space are different from natural time and space in principle, but they are not external and detached from natural time and natural space, but through human life activities, practical activities to give natural time and natural space social attributes, especially to give it value, meaning, so that its abstract form in human activities to obtain the reality of social history, so that time and space access to the "space and promote the expansion of human life, each of the field. "With the development and application of modern science and technology, social space has been freed from parochialism, isolation and decentralization, and its connectivity, identity and centralization have been significantly enhanced. Modern people live in multi-dimensional space, their interaction has become more and more socialized and cosmopolitan, and the competition among countries has expanded into multi-dimensional strategic space: land, air, underwater, space and cultural space, information cyberspace, etc. Modern science and technology not only profoundly change the social space-time structure of human activities, but also make it take place more obvious mutual transformation. In the process of people's practice, after the end of a specific process of practice, social time is transformed into human activity space in the form of "accumulation"; likewise, the spatial structure as crystallized form also affects and embodies the time of human activity in the countless times and times, thus making it manifest itself into a more significant transformation of human society.